Support local athletes as they compete in this year’s Senior Games! Interested in becoming an Instructor or a Speaker for The Enrichment Academy? Please be considerate of others and all properties. Dog owners are responsible for picking up after their pets. Please take all waste home for disposal. Do not use storm drains, postal or recreation facilities for disposing of solid waste or plastic bags. The Recreation & Parks Department has regularly scheduled monthly events for Camp Villages, Lake Sumter Landing, Outdoor Concerts and Outdoor Movies. The Village Center Community Development District (VCCDD) employs staff to support the operations of The Villages® community. We contribute our successes to the members of our team! At the direction of the Amenity Authority Committee (AAC), the Recreation & Parks Department gathered input from residents regarding both internal and external recreation center features for the First Responders Recreation Center. To view the survey results, please click on the following link. Continue to visit www.DistrictGov.org for additional updates and information! Save the date! Please join us for the Grand Opening of the Hogeye Preserve Pathway in the Village of Marsh Bend. The pathway starts at the Cattail Recreation Area at 5219 Marsh Bend Trail, The Villages, Florida 32163. For additional information, please click on the following link. Support local athletes as they compete in this year’s Senior Games! Click the link below for more information or click the Senior Games Quick Link to the right for additional information. Interested in becoming an Instructor or a Speaker for The Enrichment Academy? Join us at our informational presentation to speak with staff members, ask questions,and learn how instructors and speakers can bring new and innovative learning opportunities to the program. Two sessions are available at Lake Miona Recreation Center on April 26th at 9 am or April 30th at 5:30 pm. For more information, please click the link below. Please be considerate of others and all properties. Dog owners are responsible for picking up after their pets. Please take all waste home for disposal. Do not use storm drains, postal or recreation facilities for disposing of solid waste or plastic bags. 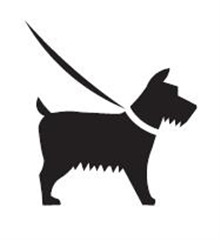 In addition, please follow all county ordinances including all dogs are required to be on a leash. For additional information, please click on the link below. The Recreation Department in conjunction with the Humane Society / SPCA of Sumter County will be hosting local pet information and adoptions days the 3rd Friday of each month at various recreation center pavilions. Please call Paradise Recreation Center at 352-753-0637 for specific dates & locations. The Villages Recreation & Parks Department offers monthly socials to help Villagers enjoy the companionship of others in a friendly, fun atmosphere, as well as fulfilling the recreational, educational, emotional or physical needs of the participants. Beginning December 27, 2018, registration for the monthly socials will be available online, in addition to walk-in registration at all regional recreation centers. 4. Click on the Socials (on the right hand side). 6. View the month’s social offerings. 7. Create an account or login. 8. Register for the socials of your choosing. For questions or assistance, please call Recreation Administration at 352-674-1800. The Enrichment Academy is excited to announce special speakers in 2019. Click on the link below for detailed information. The Recreation & Parks Department has regularly scheduled monthly events for Camp Villages, Lake Sumter Landing, Outdoor Concerts and Outdoor Movies. To view the complete schedule, please click on the link below. Participation in clubs, activities and events throughout The Villages may be photographed/recorded and by participation in the activity, participant irrevocably consents to be photographed/recorded and grants The Villages of Florida, Inc. and its successors, assigns and licenses the right in perpetuity to distribute the results of such photography/recording in all media throughout the world. The Village Center Community Development District (VCCDD) employs staff to support the operations of The Villages® community. We contribute our successes to the members of our team! 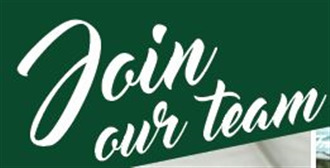 If you would like to learn more about becoming a part of our team, please click on the link below. Tour the beautiful new facilities and discover all the amenities available at the Fenney Recreation Center, Spanish Moss Recreation Center, Blue Heron Recreation Area, Fenney Springs Nature Trail and the Putt & Play Recreation Area all located in the Village of Fenney! You can visit these centers by heading south on Morse Boulevard over SR44 to 3200 Fenney Way. For more information, please call 352-674-8460. We look forward to seeing you there! For additional information on the Putt & Play, please click on the link below. Welcome Aboard! Join us for a scenic tour of Lake Sumter on the Lake Sumter Line Boat Tour! Please click on the link below for additional information. The Recreation Department offers a variety of walking sidewalks and trails for residents and their guest to enjoy. The information being provided by The Villages Recreation & Parks Dept. is for courtesy purposes only. The ownership, maintenance responsibility and walking distance can and will vary from location to location. All users, use these areas at their own risk, please follow any posted rules. Please click on the link below for additional information. Our dedicated staff is here to help you get the most out of your unique Villages lifestyle. When enjoying your choice of activities, we ask that you remember participating in recreational activities always involves some degree of risk. Participants assume full responsibility for and risk of bodily injury arising out of or in any way connected with participation or involvement in or presence at the activity or program. To assist you with emergency situations, the recreation department has provided all outside recreation areas with a bulletin board that has important 911 information including the address/county/phone number you are calling from. Emergency 911 phones are located at all equipment buildings and pools with pertinent emergency information. We encourage all residents to become familiar with their recreation centers and 911 information. Please when visiting any recreation center or swimming pool take a moment to locate these helpful areas. 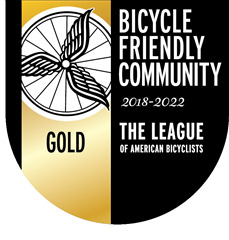 The League of American Bicyclists has designated The Villages, Florida a Bicycle Friendly Community at the Gold Level in recognition of outstanding efforts to encourage bicycling in The Villages. The award is presented only to communities with remarkable commitments to bicycling. The award is current for four years 2018-2022. For additional information, please click on the Bicycle Information link below. For a list of the holiday closures in 2019, please click on the link below. Depending on where items are found, inexpensive items will be held for one month at La Hacienda, Laurel Manor, or Eisenhower Regional Recreation Centers. Valuables will be turned over to the Lady Lake Police Department, Sumter County Sheriff’s Office or Marion County Sheriff’s Office within 72 hours. At the end of each month, unclaimed items will be donated to local charities. The Recreation Department is not responsible for lost items. Courtesy phones are available for use by residents and guests in case of an emergency or to reach a Recreation team member. Courtesy phones are available at all pools and the equipment sheds. The facility name and address are posted on the wall by the courtesy phone. For non-emergency issues you can call Community Watch. Click on the link below for a photo of one of our courtesy phones available for use.